Reinterpreted for modern homes, the Adirondack 20-Inch Pendant celebrates early 20th-century mountain style with top-quality materials and craftsmanship. Hand-forged iron branches finished in shiny, silver leaf are enclosed within a beige hardback linen shade. 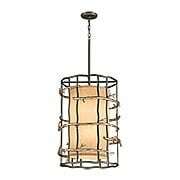 This fixture is suited for hanging over a dining room table, in a foyer, or in the living room. Reinterpreted for modern homes, the Adirondack collection celebrates early 20th century mountain style with top-quality materials and craftsmanship. The graphite back plate holds a hand-forged, wrought-iron branch finished in shiny, silver-leaf—creating a striking contrast. A hardback linen shade tops this natural design for soft light in your hallway, entryway, or on either side of your fireplace. Reinterpreted for modern homes, the Adirondack collection celebrates early 20th century mountain style with top-quality materials and craftsmanship. 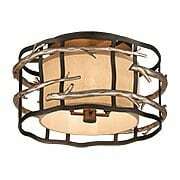 Hand-forged iron branches finished in shiny, silver leaf wrap a graphite cage that surrounds a beige linen-glass shade. 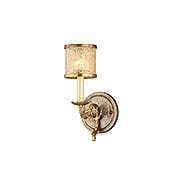 This flush mount is suited for hallways, bedrooms, and kitchens. Reinterpreted for modern homes, the Adirondack collection celebrates early 20th century mountain style with top-quality materials and craftsmanship. 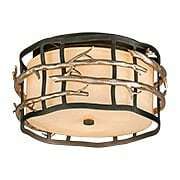 Hand-forged iron branches finished in shiny, silver leaf wrap a graphite cage that surrounds a hardback linen shade. 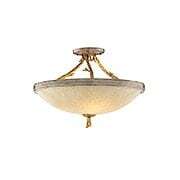 This flush mount is suited for hallways, bedrooms, and kitchens. Reinterpreted for modern homes, the Adirondack 18-Inch Pendant celebrates early 20th-century mountain style with top-quality materials and craftsmanship. Hand-forged iron branches finished in shiny, silver leaf are enclosed within a beige hardback linen shade. 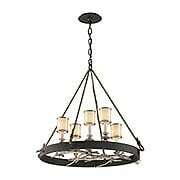 This fixture is suited for hanging over a dining room table, in a foyer, or in the living room. Reinterpreted for modern homes, the Adirondack 22-Inch Pendant celebrates early 20th-century mountain style with top-quality materials and craftsmanship. Hand-forged iron branches finished in shiny, silver leaf are enclosed within a beige hardback linen shade. 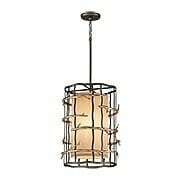 This fixture is suited for hanging over a dining room table, in a foyer, or in the living room. Reinterpreted for modern homes, the Adirondack 25-Inch Pendant celebrates early 20th-century mountain style with top-quality materials and craftsmanship. Hand-forged iron branches finished in shiny, silver leaf are enclosed within a beige hardback linen shade. 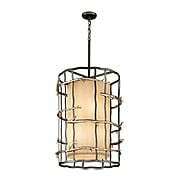 This fixture is suited for hanging over a dining room table, in a foyer, or in the living room. Reinterpreted for modern homes, the Adirondack collection celebrates early 20th century mountain style with top-quality materials and craftsmanship. Hand-forged iron branches finished in shiny, silver leaf wrap a graphite cage that surrounds a beige hardback linen shade. 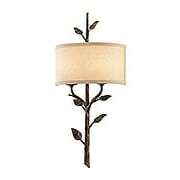 This sconce is suited for framing a painting or lighting a hallway or entryway. Reinterpreted for modern homes, the Adirondack collection celebrates early 20th century mountain style with top-quality materials and craftsmanship. 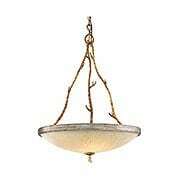 Hand-forged iron branches finished in shiny, silver leaf are enclosed in beige linen-glass shade. 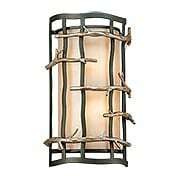 This sconce is suited for hallways, entryways, and bedrooms. 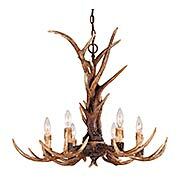 Striking antler details give this six light chandelier the kind of rustic splendor that can't be found anywhere else. Finished in New Tortoise Shell. Antler and rope details create the rustic resplendence of this Blue Ridge sconce, a New Tortoise Shell-finished piece that glows with two lights. Bring a touch of the countryside to your home with the Royale Parc collection of sconces, pendants, and chandeliers. These rustic, yet refined fixtures evoke images of a French chateau, with their hand-wrought iron branches, gold and silver leaf accents, and golden-ice glass shades. 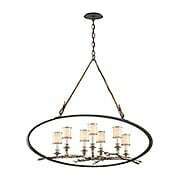 This chandelier is a wonderful choice for a very large dining room, living room, or double-height foyer. Bring a touch of the countryside to your home with the Royale Parc collection of sconces, pendants, and chandeliers. These rustic, yet refined fixtures evoke images of a French chateau, with their hand-wrought iron branches, gold and silver leaf accents, and golden-ice glass shades. 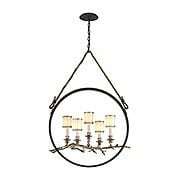 This chandelier is a wonderful choice for a large dining room, living room, or double-height foyer. Bring a touch of the countryside to your home with the Royale Parc collection of sconces, pendants, and chandeliers. 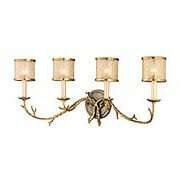 These rustic, yet refined fixtures evoke images of a French chateau, with their hand-wrought iron branches, gold and silver leaf accents, and a golden-ice glass shade. 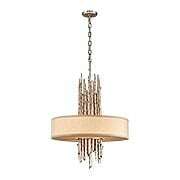 This pendant is a wonderful choice for an entryway, kitchen, or dining room. Bring a touch of the countryside to your home with the Royale Parc collection of sconces, pendants, and chandeliers. 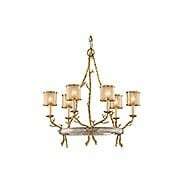 These rustic, yet refined fixtures evoke images of a French chateau, with their hand-wrought iron branches, gold and silver leaf accents, and a golden-ice glass shade. 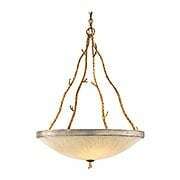 This ceiling light is a wonderful choice for an entryway, kitchen, or dining room. Bring a touch of the countryside to your home with the Royale Parc collection of sconces, pendants, and chandeliers. These rustic, yet refined fixtures evoke images of a French chateau, with their hand-wrought iron branches, gold and silver leaf accents, and a golden-ice glass shade. 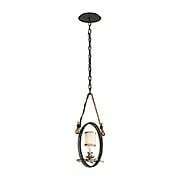 This ceiling light is a wonderful choice for an entryway, kitchen, or bedroom. Bring a touch of the countryside to your home with the Royale Parc collection of sconces, pendants, and chandeliers. These rustic, yet refined fixtures evoke images of a French chateau, with their hand-wrought iron branches, gold and silver leaf accents, and golden-ice glass shades. 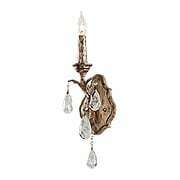 This sconce is a wonderful choice over a larger vanity or mirror. Bring a touch of the countryside to your home with the Royale Parc collection of sconces, pendants, and chandeliers. These rustic, yet refined fixtures evoke images of a French chateau, with their hand-wrought iron branches, gold and silver leaf accents, and a golden-ice glass shade. 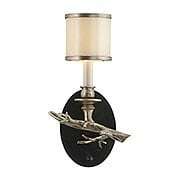 This sconce is a wonderful choice over a smaller vanity, or for framing a mirror. 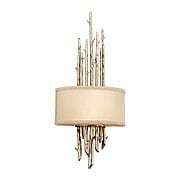 The Journey 6-Light Chandelier adds nature-themed flair to a variety of interiors. 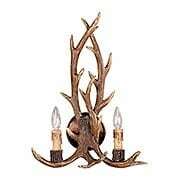 This thoughtful design showcases resin antlers with its minimal frame and rich black finish. Suited for cabins, lodges or even contemporary homes. 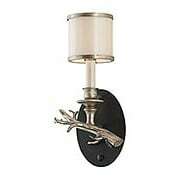 The Almont sconce features a rugged leafy branch encircled by a cream, hardback linen shade. The hand-forged iron is finished in a cottage-bronze patina, giving the bough’s surface just a hint of glimmer. This rustic contemporary fixture is as versatile as it is charming and is equally at home in a modern-style home as a rustic lodge. Combining elements of the artful, rustic, and timelessly romantic, the Drift pendant is a gracefully balanced transitional piece. In hand-forged iron with bronze and silver leaf finishes and seven lights. Combining elements of the artful, rustic, and timelessly romantic, the Drift pendant is a gracefully balanced transitional piece. In hand-forged iron with bronze and silver leaf finishes and five lights. Combining elements of the artful, rustic, and timelessly romantic, the Drift chandelier is a gracefully balanced transitional piece. In hand-forged iron with bronze and silver leaf finishes and five lights. The Drift 1-Light Wall Sconce (Right Hand) is organically divine. With the accent of romantic wrought-iron backing, a graceful silver leaf branch is a lovely counterpart to its corresponding shade. 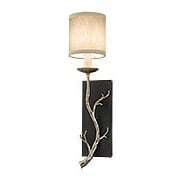 The Drift 1-Light Wall Sconce (Left Hand) is organically divine. With the accent of romantic wrought-iron backing, a graceful silver leaf branch is a lovely counterpart to its corresponding shade. 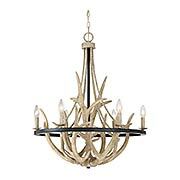 Rustic, European elegance comes to mind when describing the Amadeus 3-Light Chandelier. 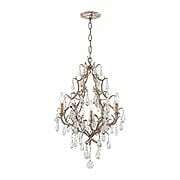 The hand-crafted, branch-like iron frame is finished with a silvery Vienna-Bronze patina, and draped with dozens of Italian-glass drops. As if carved from ice, each hand-formed crystal sparkles with a unique beauty. Rustic, European elegance comes to mind when describing the Amadeus 12-Light Chandelier. 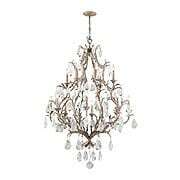 The hand-crafted, branch-like iron frame is finished with a silvery Vienna-Bronze patina, and draped with dozens of Italian-glass drops. As if carved from ice, each hand-formed crystal sparkles with a unique beauty. Rustic, European elegance comes to mind when describing the Amadeus 1-Light Sconce. 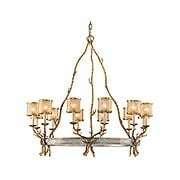 The hand-crafted, branch-like iron frame is finished with a silvery Vienna-Bronze patina, and draped with dozens of Italian-glass drops. As if carved from ice, each hand-formed crystal sparkles with a unique beauty.